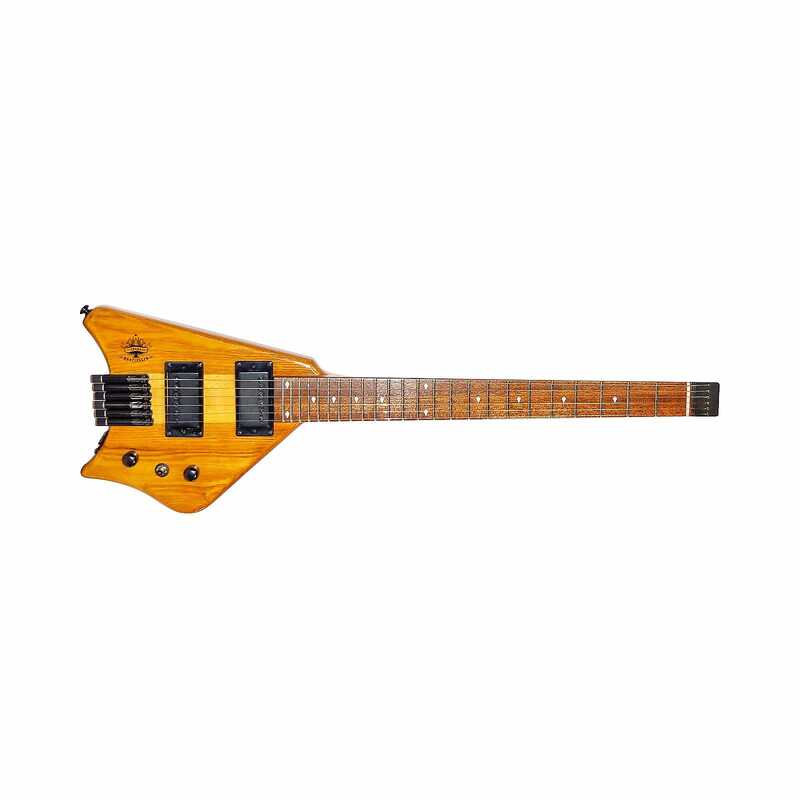 The Spade is a full 25.5 scale 24 fret performance guitar. At 5 pounds It is well suited for the traveling pro or the traveling enthusiast. All highest quality South Korean hardware and uses standard single ball strings. 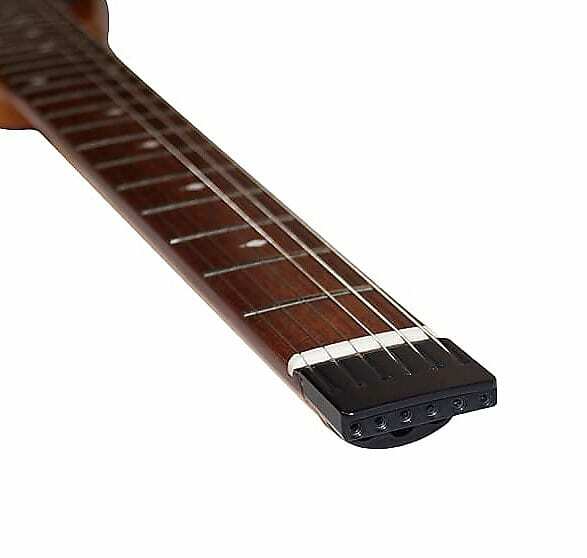 Our new Monorail bridge isolates each saddle / string so that it vibrates optimally, not allowing sympathetic vibration. We use only the highest quality woods, three piece maple neck through construction body, ash body wings and beautiful high polished Brazilian Cherry Jatoba fret board. Comes with OHSC hard case ready for the road or overhead plane compartment. 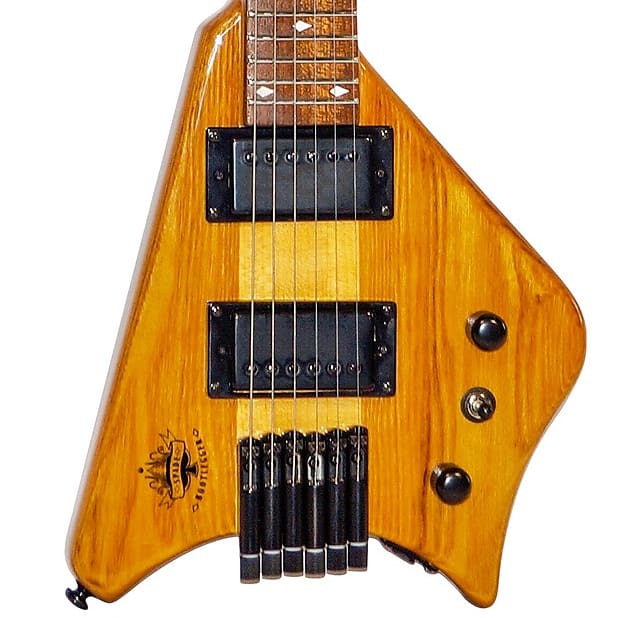 The Ace 4 string bass and Spade are designed by Bootlegger Guitar, and in the tradition of Bootlegger Guitar USA..
Three piece hard Maple body & neck through construction. Guitar Measurements 30 inches long, 10 Inches Wide, 1 1/2 inches Thick. 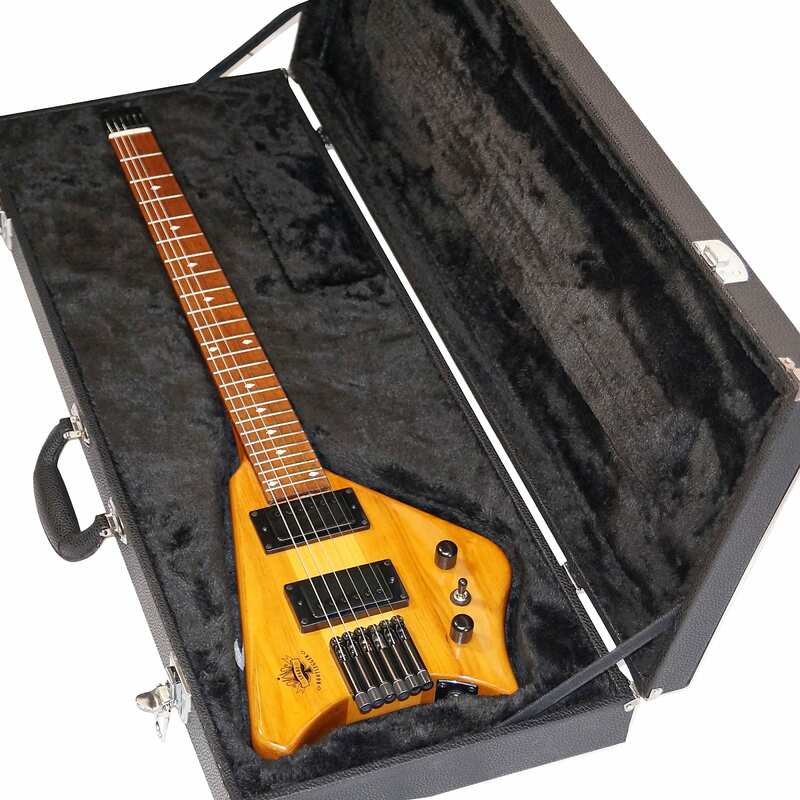 Included Accessories Case Key & Related Truss Rod & Tuning Tools. 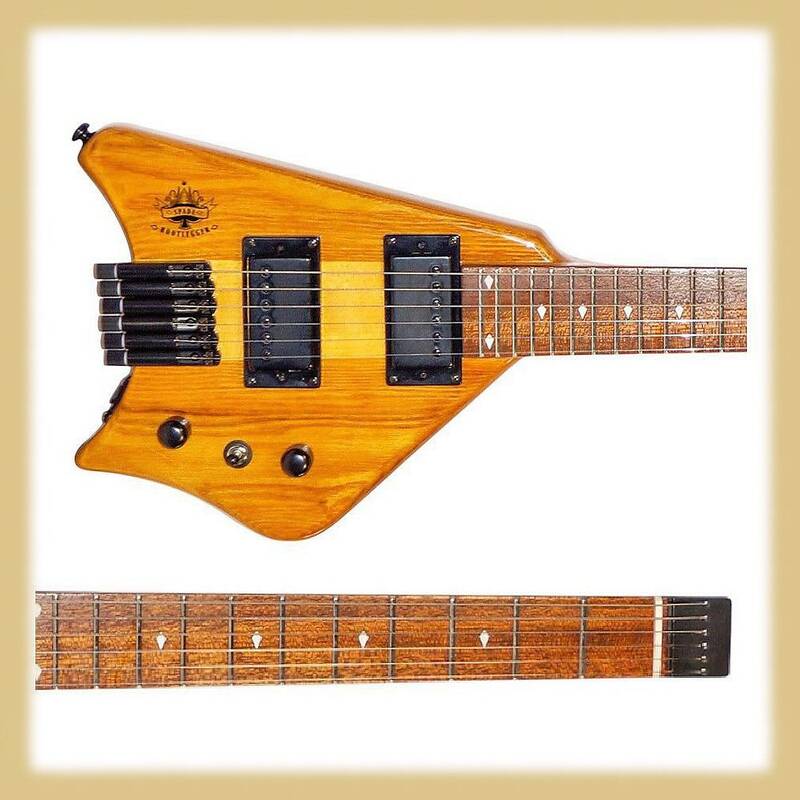 Bootlegger Guitar is a boutique builder in Hermosa Beach, California. All designs are Bootlegger Guitar and all guitars are expertly built by our factory Muse Inc Soul Korea. We have sold our guitars and our Tube amps to players all over the world. 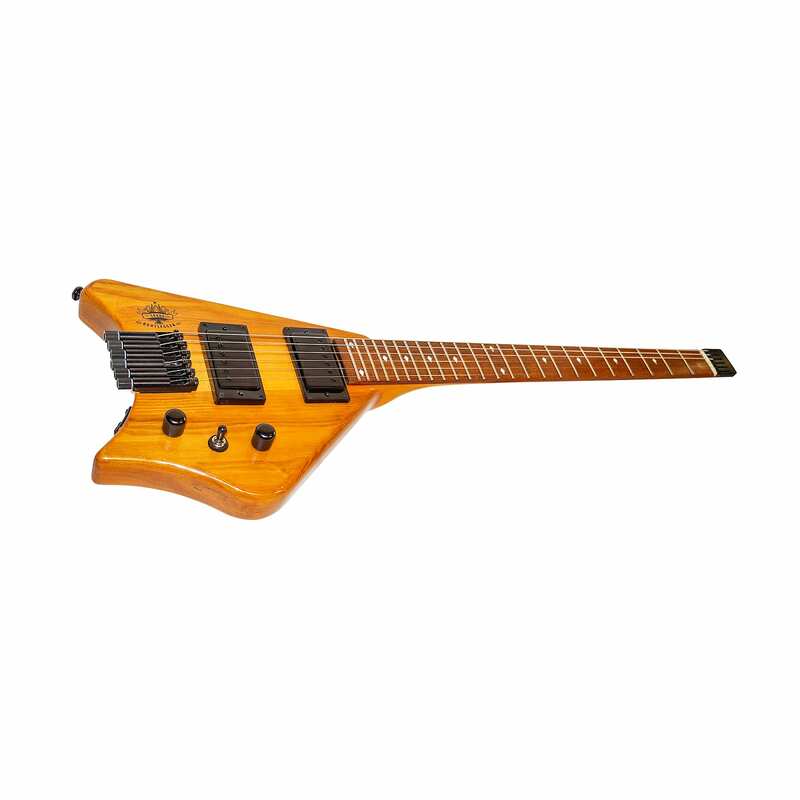 Since the 80's creative luthiers like Steinberger have challenged the standard by producing high quality guitars without heads. This unconventional, but savvy design places all of the hardware in one location. Having everything in one place eliminates the need for a nut, which is a boon for your open notes and intonation in general. 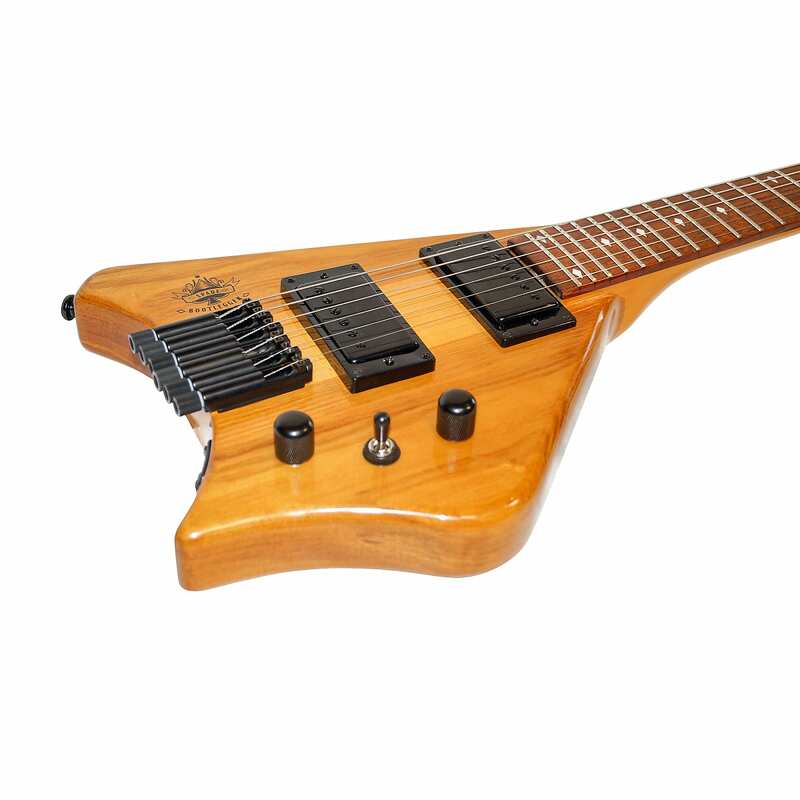 Without that extra wood and hardware at the end of the neck, balance of the guitar shifts to the body, alleviating the strain on your strap shoulder. 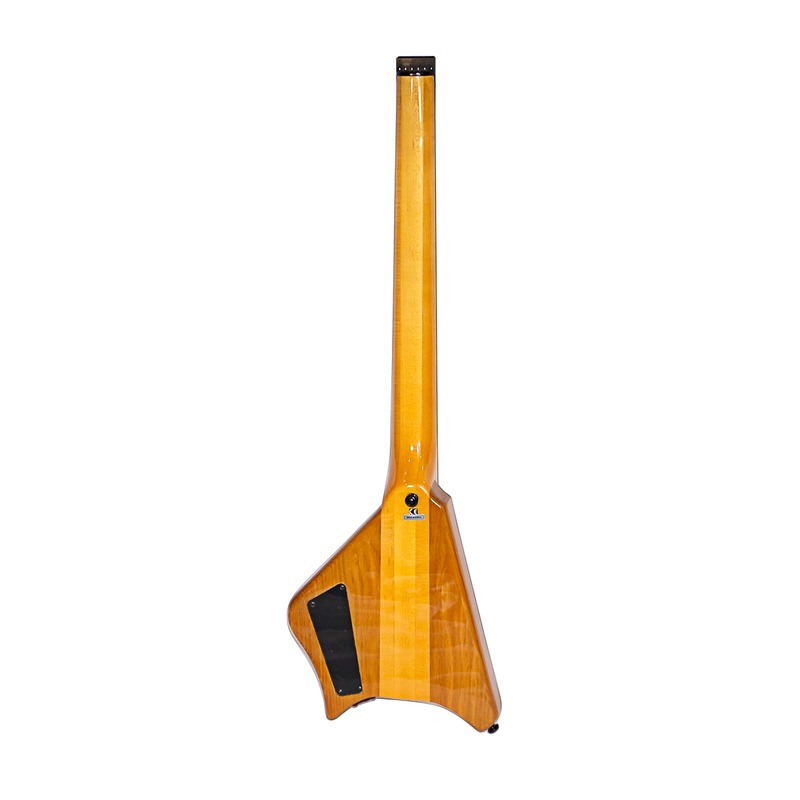 Lighter, full scale, compact and works great as a travel bass. Current headless builders such as Strandberg, Teuffel, Mayones, NS, Roehrs, Kiesel, Skervesen and Carvin make high end high quality headless guitars. Now Bootlegger Guitar is introducing the new Spade Gen 2 and Ace 4 string bass, inspired by our original Spade six string guitar. Both these high quality guitars are built by our factory Muse, South Korea, bring value and extreme playability enjoyment. 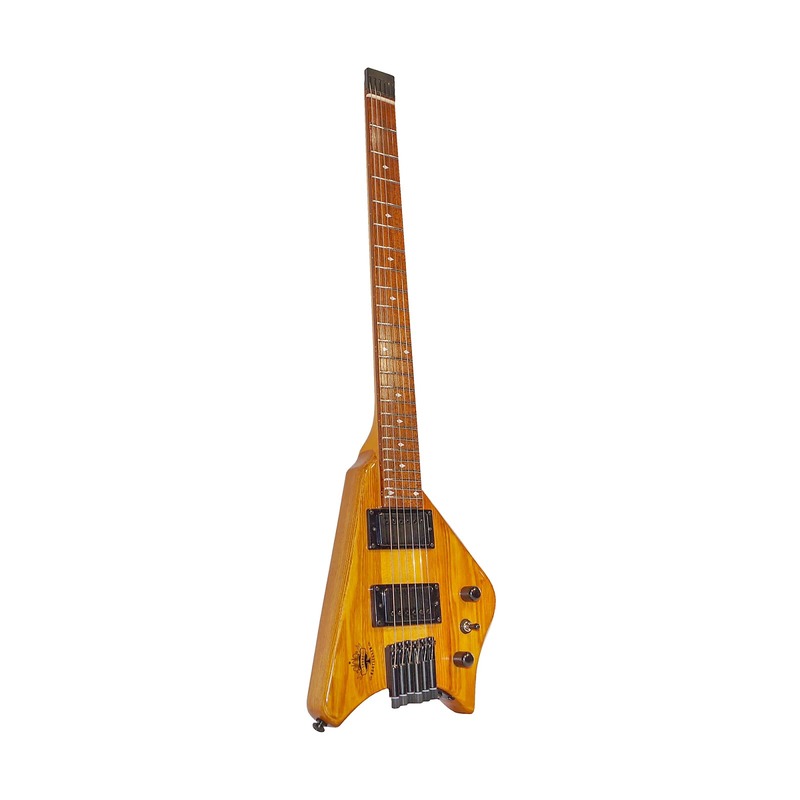 The Spade is a full 25.5 scale 24 fret performance guitar. At 5 pounds It is well suited for the traveling pro or the traveling enthusiast. All South Korean hardware and uses standard single ball strings. Our new Monorail bridge isolates each saddle / string so that it vibrates optimally without impacting any others, not allowing sympathetic vibration. We use only the highest quality woods, three piece maple neck through construction body, ash body wings and beautiful high polished Brazilian Cherry Jatoba fret board. 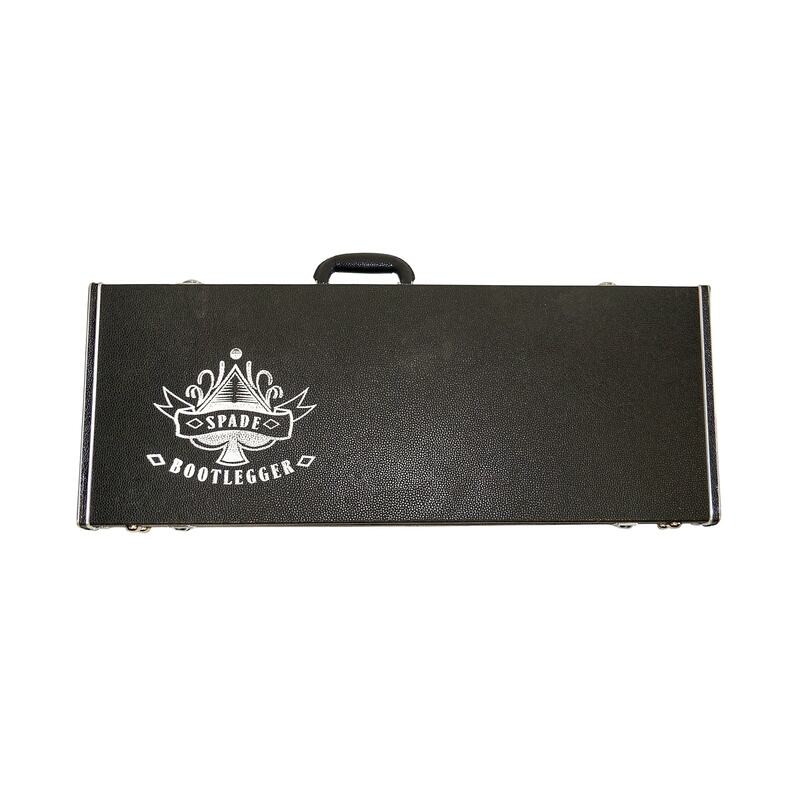 Comes with high quality custom hard case ready for the road or overhead plane compartment. 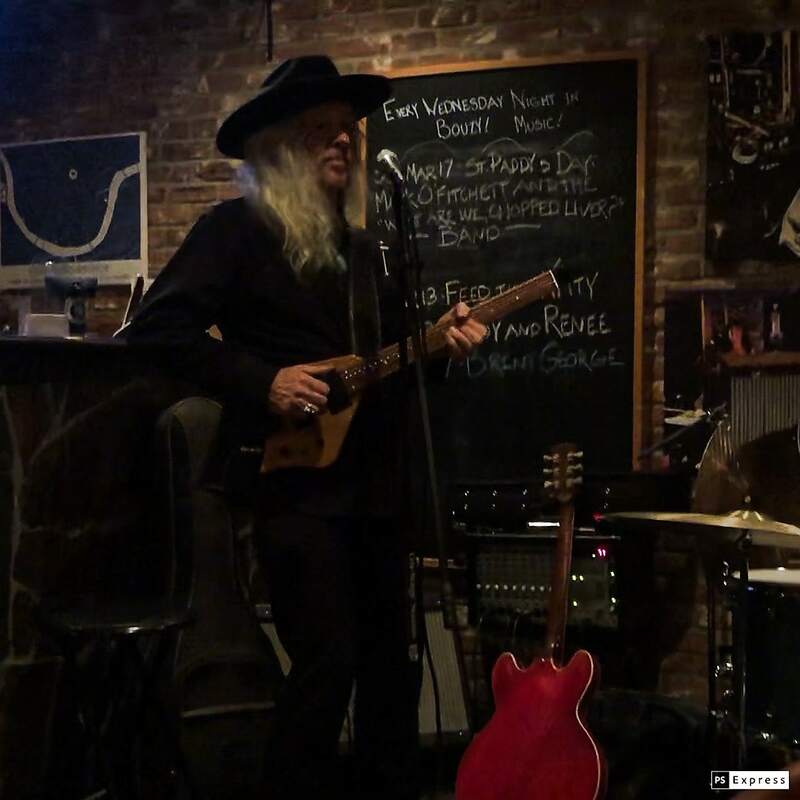 The Ace and Spade are designed by Bootlegger Guitar, and in the tradition of Bootlegger Guitar. 98 Proof. Bought on Apr 15th, 2019 by Greg K.
Bought on Mar 29th, 2019 by Tony P.